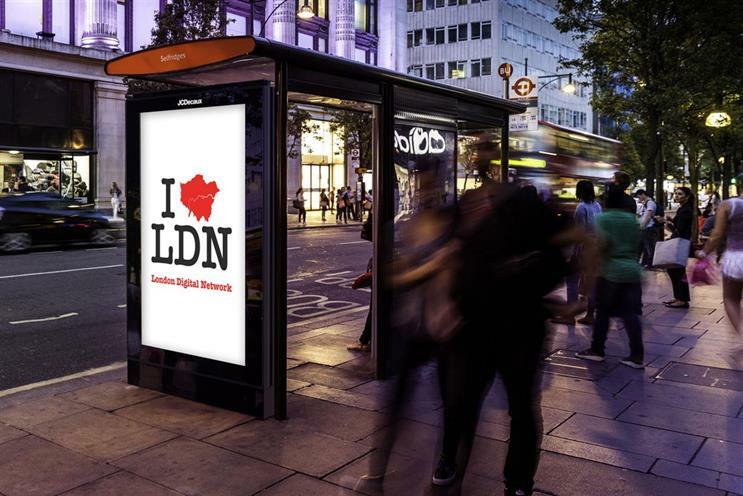 JCDecaux has launched a digital out-of-home brand charter to ensure trust and accountability in outdoor advertising as the UK market reaches a "tipping point". The charter, named BranDO, has been unveiled alongside the launch of the outdoor media giant’s new automated trading and planning platform. Verification will be audited by PwC and the charter will form the automated trading standards to which JCDecaux will adhere. Spencer Berwin, JCDecaux’s co-chief executive, said the company had launched this today at the IAB Upfronts because the UK outdoor market had reached a "tipping point" where half the revenues are coming from digital. He said: "[Digital] is no longer a nice to have, but is now a must-have. The great thing about digital is that it’s now about mass brand one-to-one marketing. It is now able to offer that personalisation at scale." "We also think it’s important for us to be a brand leader in the OOH market; to outline what we believe should be the standards as a benchmark for everything." Viewability – We will only measure ads that have been ‘viewed’ using the JIC-approved Route audience measurement system. This means ‘eyes on’ ad copy rather than an opportunity to see (viewed rather than viewable). We will only count real people and only those resident in the UK aged 15+. Measurement – All audience-viewed impressions will be published. We will provide the raw viewing logs that can be used for verification. Any data enrichment on top of the Route viewed impressions will be made available to all parties to the trade. Accountability – Playout reports direct from the media player will be published including any hardware or software issues. The process will be independently audited via PwC. A report on viewed impressions traded and viewed impressions delivered will be made available during and after the campaign. Transparency – We will publish a quarterly report at a global level of campaign compliance. Brand safety – We will have the highest regard for brand safety including the security of our networks. We will utilise the highest quality screens and definition for a brand safe canvas. We will ensure the build and locational quality of all our screens to ensure the environment of display is brand safe. We will comply by all legal and regulatory frameworks and ensure we strive for the highest standards in sustainability, health and safety. Automation – Automated trades will use the IAB-approved OpenDirect and OpenRTB protocols. Copy will be approved to meet Advertising Standards Authority and local authority standards for display in a public space. Berwin added the standards are about "making sure advertisers get what they pay for," citing recent brand safety controversies in online advertising this year, such as ads appearing next to extremist content on websites. "When we have discussed this at various meetings as an industry everyone is in agreement, it just needs somebody to do it and we’re grabbing that opportunity to lead the charge and to make this the force now in digital out-of-home". The UK is the first market that the digital charter has been introduced in and Berwin said he is confident a similar set of standards could be introduced in other countries. Berwin added: "The UK is by miles the most sophisticated DOOH market on the planet – no ifs and buts. Other countries are playing catchup, including the US and Germany – but the UK is in the enviable position of being the most advanced." Meanwhile, JCDecaux’s new trading and supply-side platform features an integrated content management system and geo-locational data management platform which uses data from Telefonica, Route, CACI and YouGov.